Visit strathmore.org/events-and-tickets/mlk-tribute for more information. 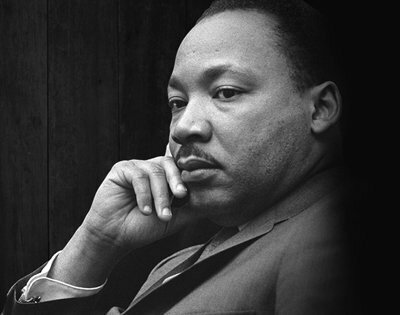 Montgomery County’s annual Dr. Martin Luther King Jr. (MLK) celebration will be held on Monday, Jan. 21 beginning at 3:30 p.m. at the Music Center at Strathmore located at 5301 Tuckerman Lane in North Bethesda. The presentation celebrates the life and legacy of Martin Luther King Jr. through music arts, dance and performance. “Women of the Dream” is the theme for this year’s event, which showcases the tireless efforts and struggle of Coretta Scott King; Fannie Lou Hamer; Willie Pearl Mackey King; Reverend Dr. Ruby Reese Moone and Joan Trumpauer Mulholland. One of the event’s highlights will be a special performance by jazz violinist Chelsey Green, who is an international recording artist. A visual arts exhibit prepared by Montgomery County students interpreting the “Women of the Dream” theme will be displayed at the venue. Free tickets are required to attend and will be distributed onsite the day of the event beginning at 2:30 p.m. Tickets are first-come, first-served and everyone in line will receive a general admission ticket until the venue is filled. Come early to get the best seating. The line begins in the foyer of the Music Center at Strathmore, starting near the café. Patrons may enter on the third floor near the skybridge. Seating will begin at 3 p.m.